The rooms at Albatroz Hotels combine authentic charm and style with the latest modern facilities. Situated in front of the wonderful Conceição beach, between the House of Palmela and Hotel. 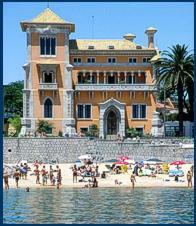 This beautiful house is so much a part of Cascais, it is impossible to imagine the bay without it. Welcome to Albatroz Hotels. Keeping up with the high standards set by Hotel Albatroz, the Palace and the Villa Albatroz Guest-House offer a service of excellence, charm in decoration and a location by the sea of Cascais. 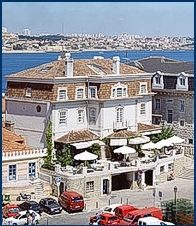 At Hotel Albatroz, Albatroz Palace and Villa Albatroz Guest-House you have the privilege of being a guest at some of the most noble houses in Cascais with the sun and sea always present.